Our hours of operation vary per class schedule. Click the link to sign up! Thrive Fitness focuses on a systematic training program with an emphasis on full body functional workouts. It’s the first class of its kind, with continual progress as its core objective. By concentrating on compound movements, like the squat, bench and dead lift, Thrive leads to maximum muscle growth and a leaner, more defined physique. The varying training phases allows different muscle groups to be prioritized. Whether you’re brand new to weight training or consider the gym your second home, this class will provide an efficient and effective workout. 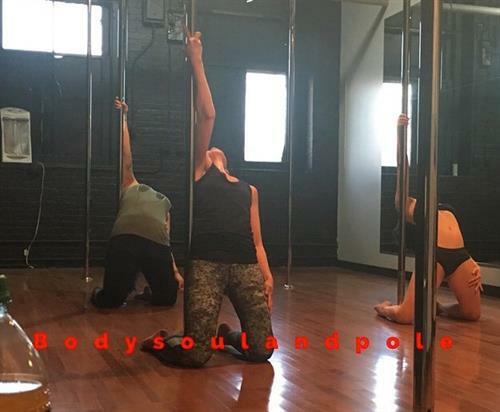 After all, Pole Fitness is a sport, and it’s still widely misunderstood but behind all the misconceptions is a huge global community of strong women and pioneers in a sport that will match any Olympic discipline. We are proud to have brought this to the community of Hoboken. 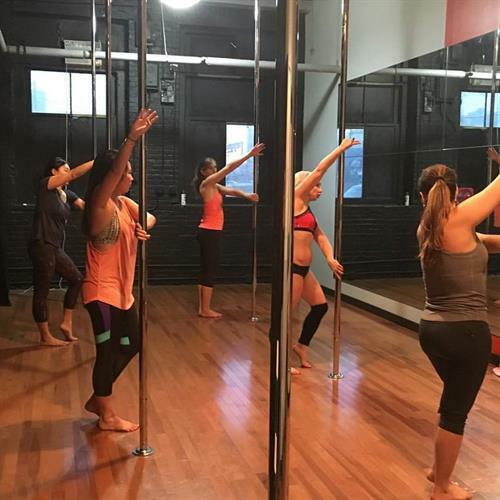 Our goal is to empower women and help them build their confidence through Pole Fitness. Come in, have fun, laugh, and get a great workout! Dance is a gift, no matter what form or shape, so share with others! How many times have you heard the 80/20 Rule where 80% of your results is Nutrition and 20% is exercise? At Thrive and Body Soul and Pole we additionally offer a solution that's convenient, effective and custom tailored to your needs when it comes to Nutrition. We are results oriented, and we personally guarantee that with our Nutritional Cleansing program, you will obtain results. There's no better time than now, to get your Fitness and Nutrition right all in one place! From the parking lot, walk through the doors tucked away in the corner of the parking lot. Make your way inside, and make a right at the desk. Go down the hallway, make another right and you're there!